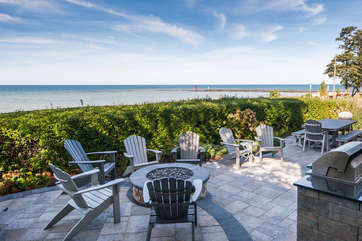 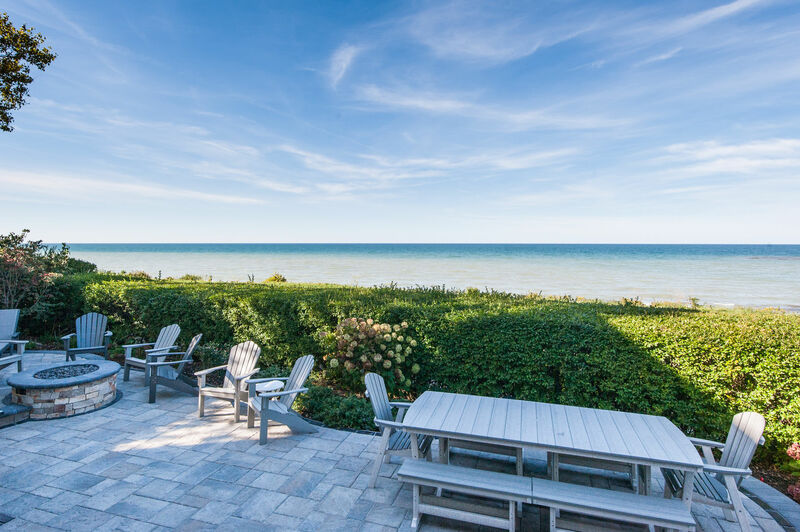 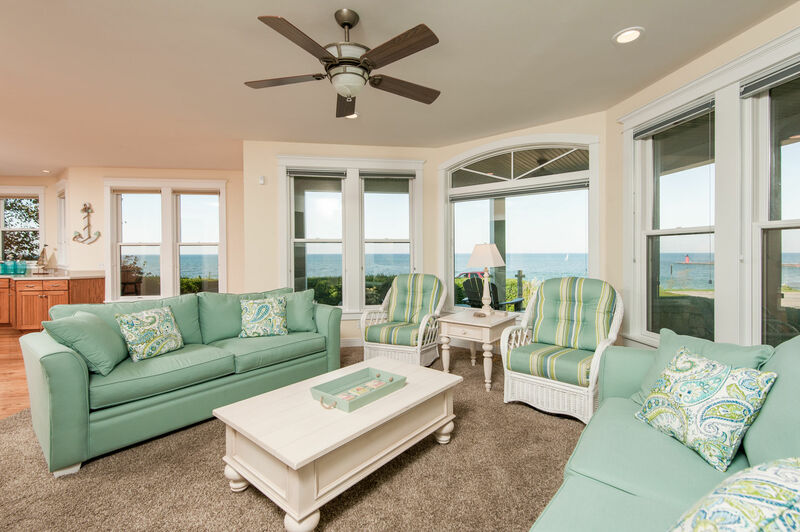 A premier luxury vacation destination overlooking South Haven's iconic lighthouse and South Beach. 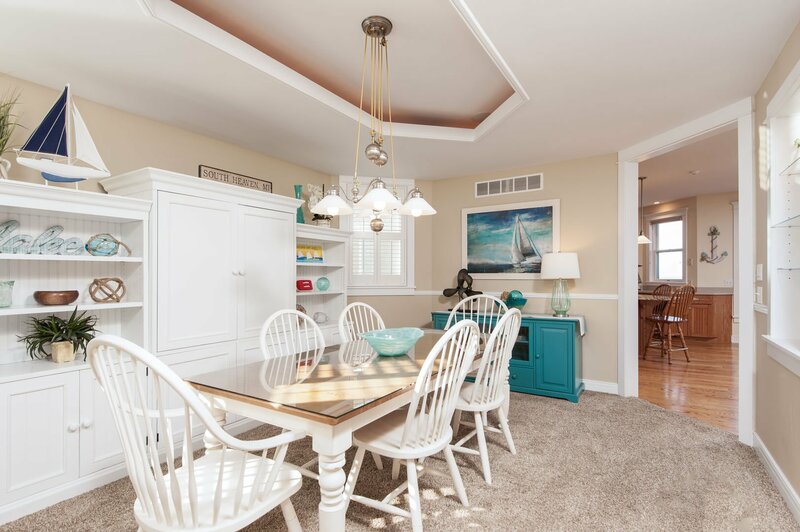 You will love the location of this home. 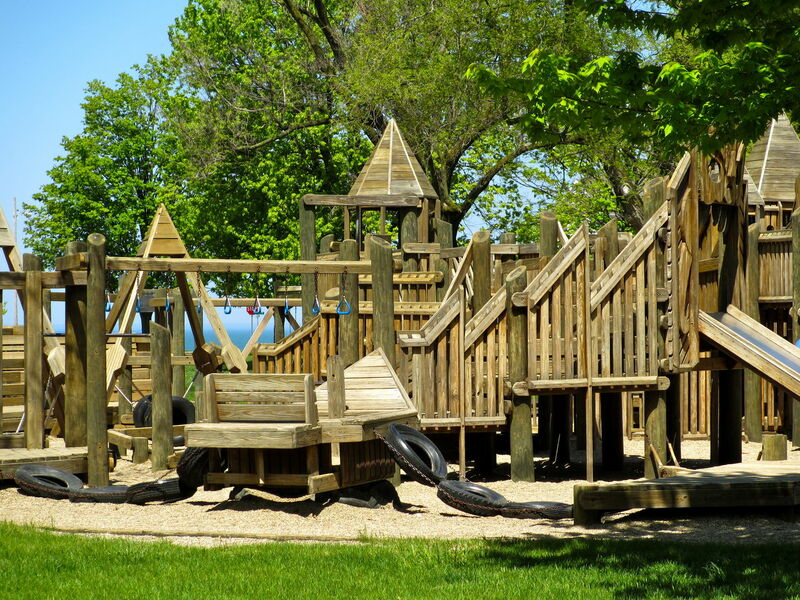 Just one house away from Kid's Corner Park and the blue stairs to the South Beach. 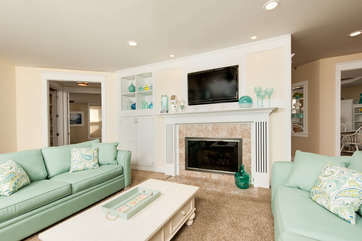 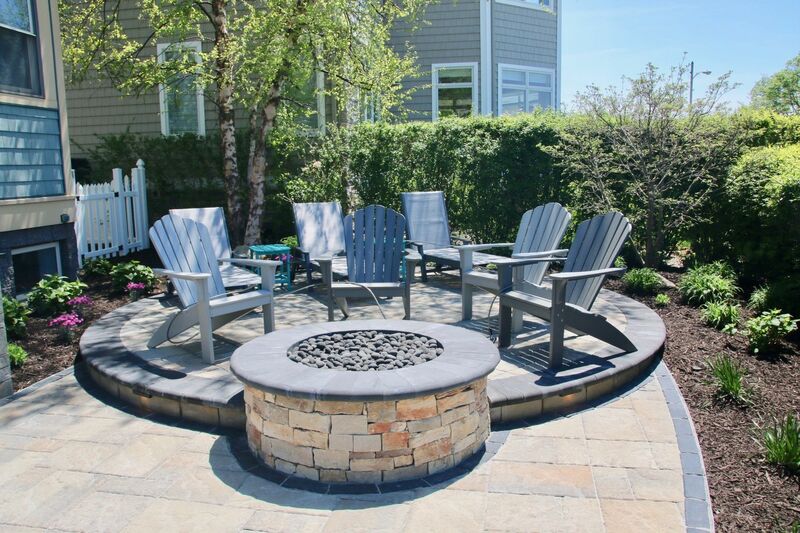 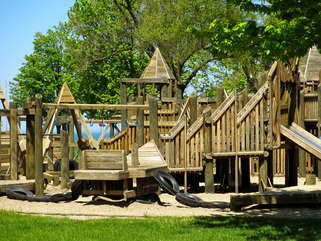 Enjoy South Haven sunsets, walks on the beach, or watching the kids play at the park without ever getting in your car! 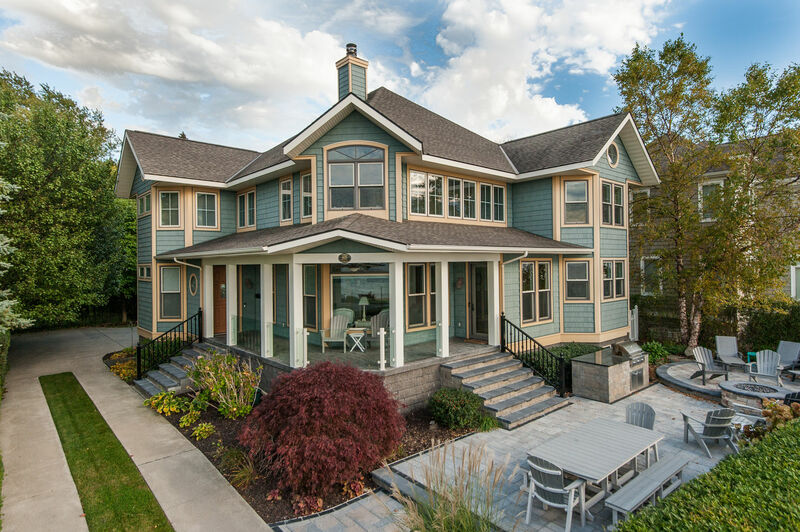 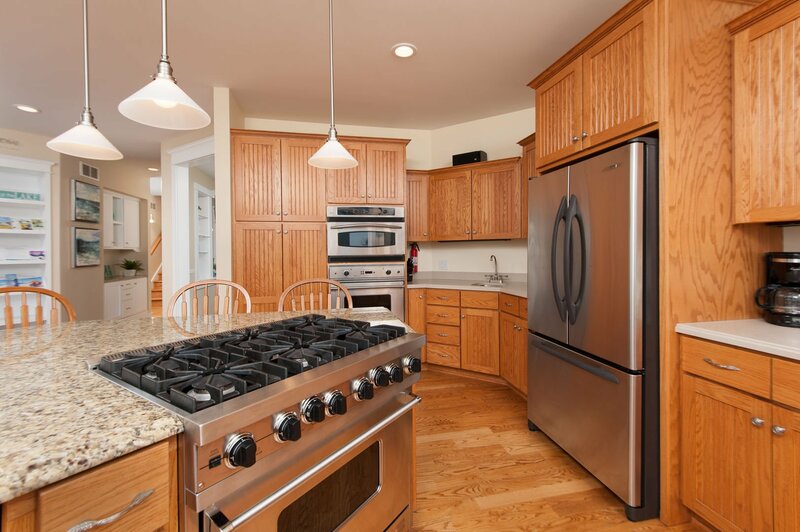 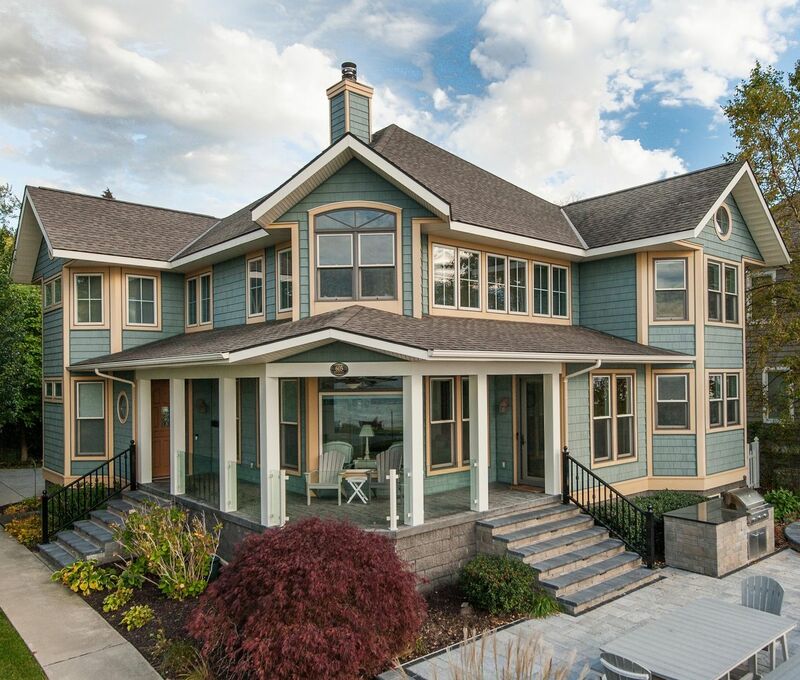 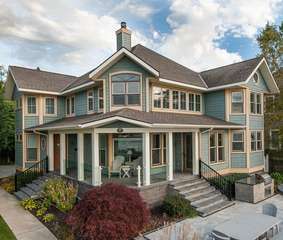 Main Floor features covered front porch, open concept kitchen and living room with panoramic lake views. 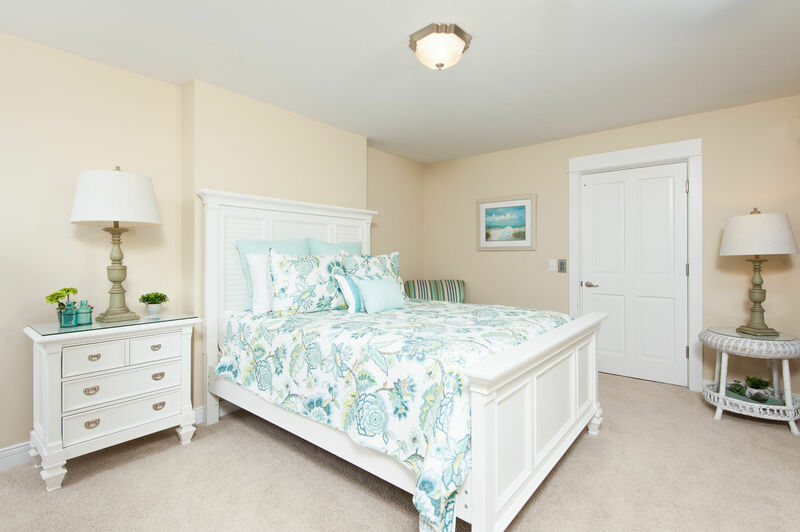 Guests who have difficulty with stairs will appreciate the main floor bedroom and an elevator accessing all levels of the home. Elevator available with 24 hour advance notice. Bedroom has private access to the shared full bathroom on main floor. 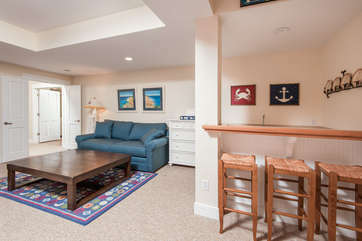 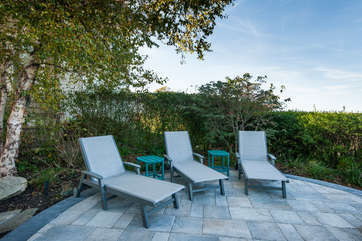 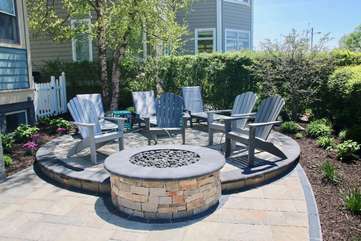 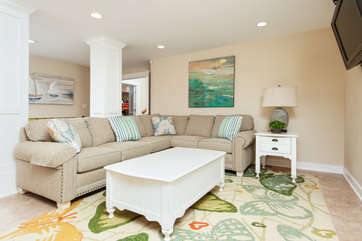 The layout of this home is perfect for two groups vacationing together providing private spaces for all. 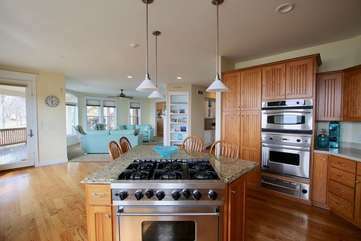 Second level has 4 bedrooms and two full bathrooms. 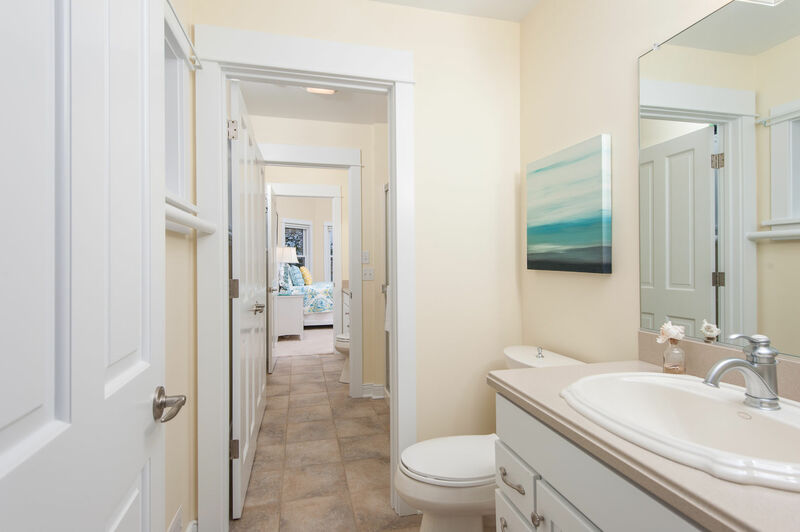 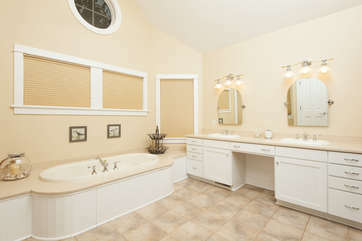 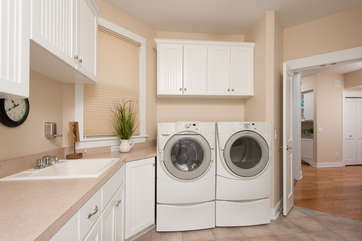 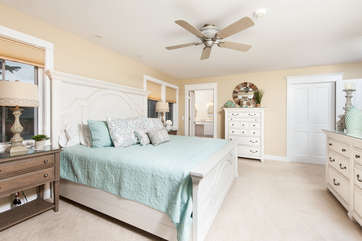 Master Bedroom has large bathroom with soaking tub and no curb entry shower. 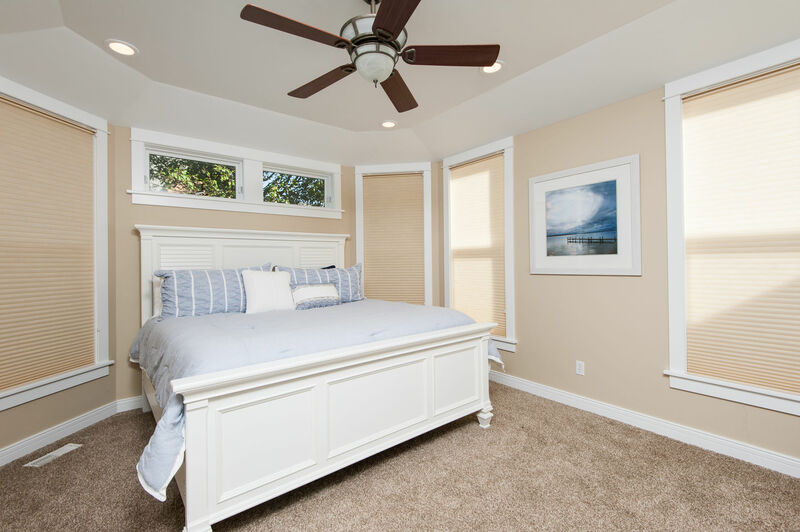 There is private access via pocket doors to the adjacent bedroom. 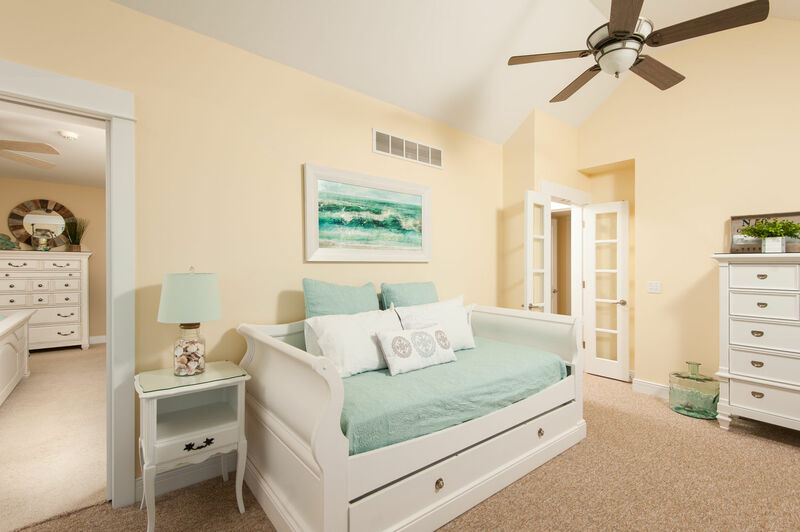 Connecting room has daybed with trundle making this the perfect suite for guests traveling with children. Also on second level are the Jack n Jill Suites. 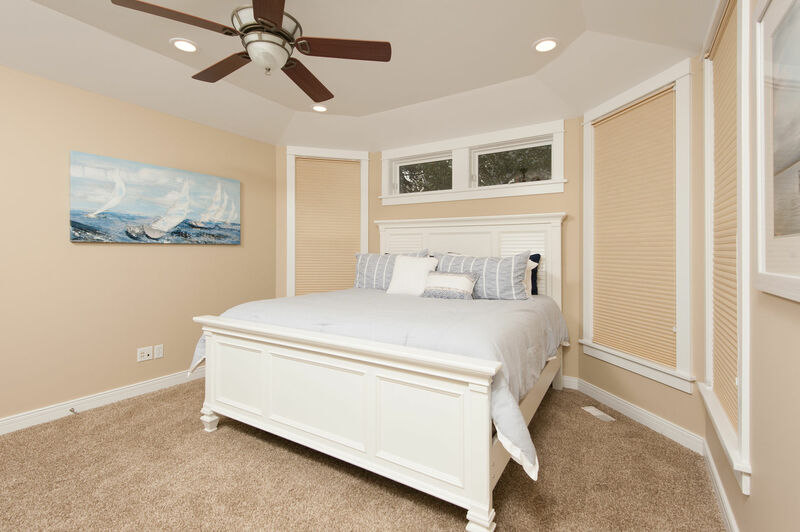 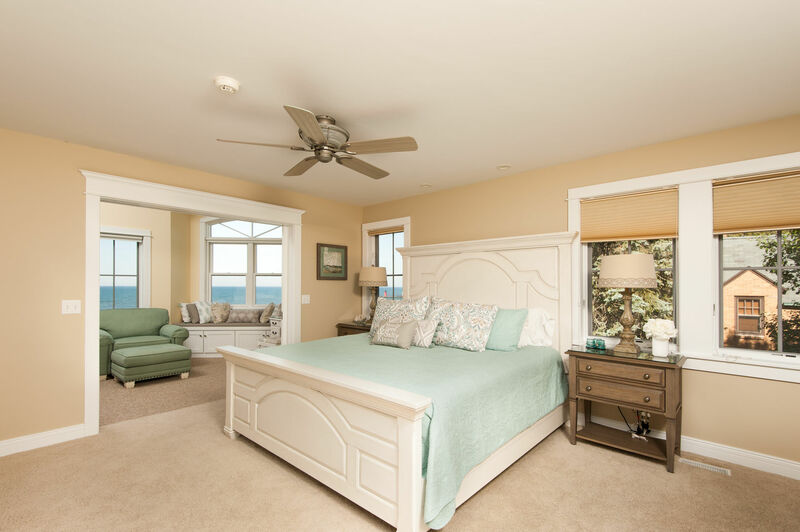 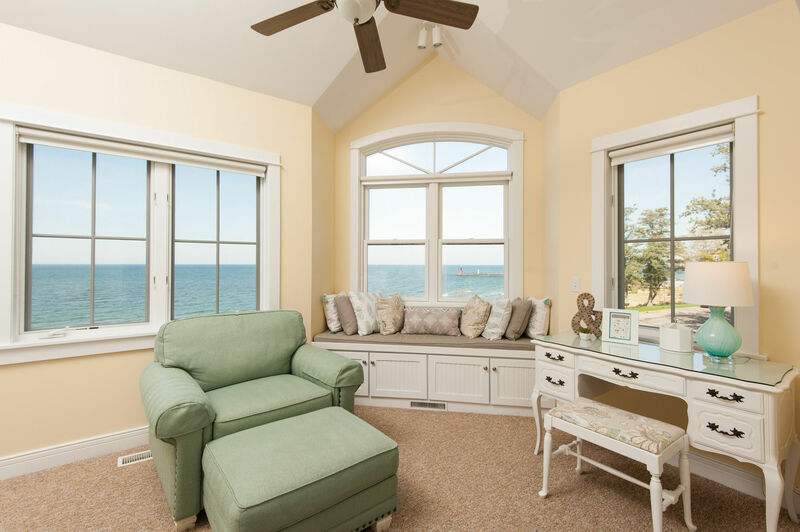 Lakefront bedroom has vaulted ceilings and amazing lake views. East bedroom has private elevator access. 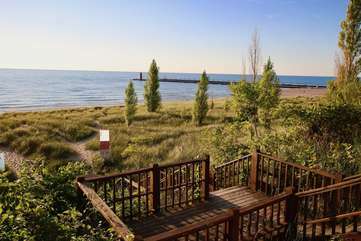 Elevator available with 24 hour advance notice. 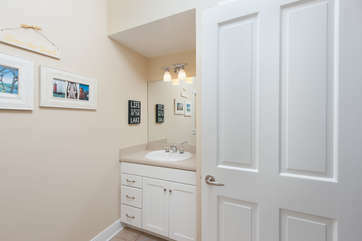 They share a shower, but each has a private half bath. 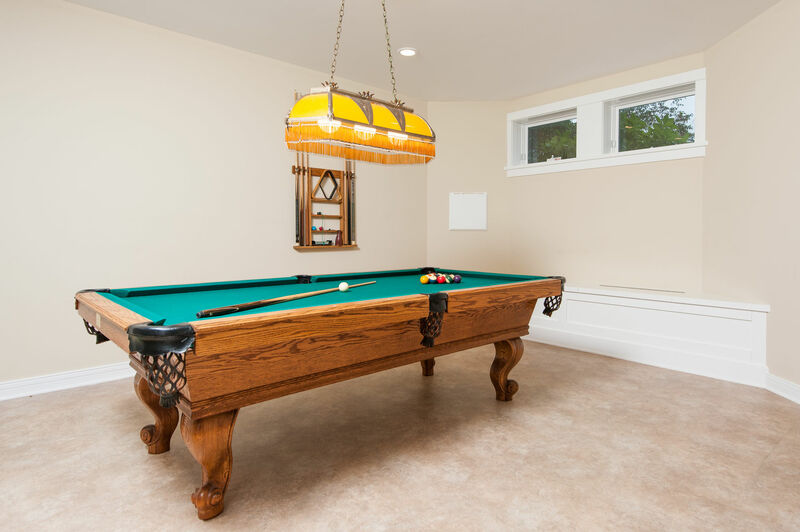 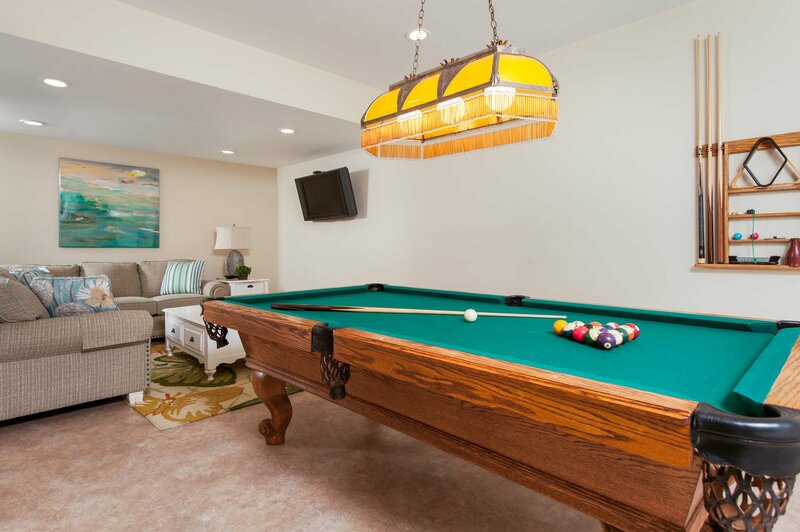 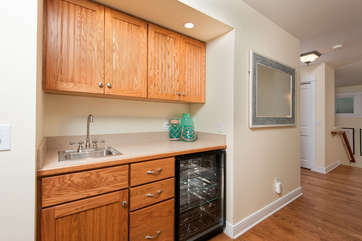 Basement level features game room, full bathroom, and large bunk room with wet bar area. 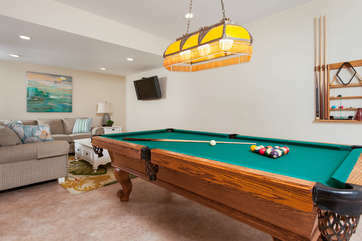 Game room has comfortable sitting area, pool table, foosball table, and ping pong table. 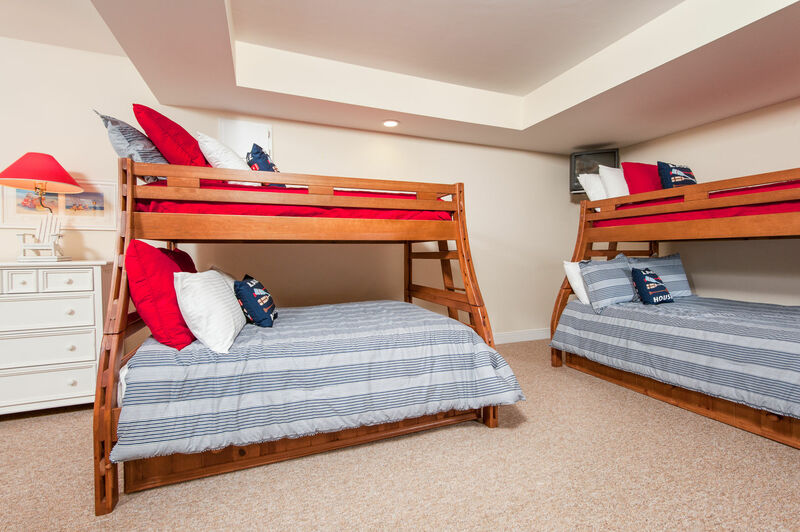 Bunk room provides sleeping for 6-8 people in 2 sets of bunk beds (full over twin bunks w/twin trundle beds).